Knife edge wedding bands, with a comfort fit on the inside of the bands and a sharp edge on the outside, offer a truly contemporary and engaging style available in a wide selection of captivating and unusual designs. 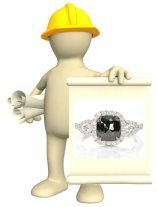 If you are searching for modern wedding ring styles, or a unique diamond engagement ring, find out here if a knife edge wedding ring may be your ideal unique style. And if you have any questions about this type of wedding ring design, just use the handy comment box at the end of the page to send in questions or to share pics and reviews of your cutting edge ring! While these cutting edge modern wedding ring designs are quite unique, they are still available in a choice range of styles. Couples can choose from knife edge engagement rings - which can be crafted with small to extra large diamonds - in classic solitaire styles to halo designs, and men's knife edge wedding bands made with clean or inlay features. The "knife" portion on the edge of the band can be very sharp and clear - or the band may be slightly tapered outwards in the middle. 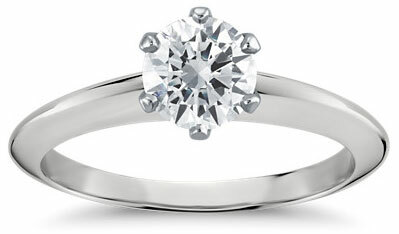 So, you can decide how sharp the edge will be on your ring's design. 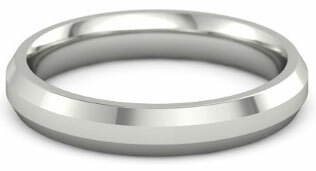 Although the edge of the band is tapered, the band may still be set with gemstones and diamonds - and most knife edge wedding rings have a rounded comfort fit on the inside and they are just as comfortable as regular wedding bands. As the inside of the bands have a wider width, the bands may be engraved as well. In terms of durability, the metals with the highest resistance to wear include platinum, palladium and 18k gold - contemporary wedding bands made with tungsten, titanium, steel or cobalt chrome will also hold up extremely well to every day wear. Are Knife Edge Bands Resizable? Knife edge bands may or may not be resizable depending on the style of the band. 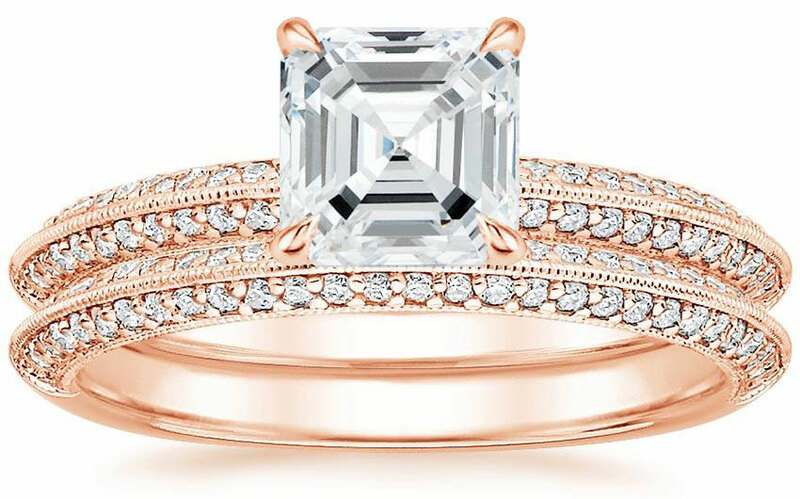 Most wedding bands and engagement rings with clean streamlined styles are resizable, but if the bands are made with intricate designs resizing may either be impossible or higher priced than traditional ring sizing jobs. 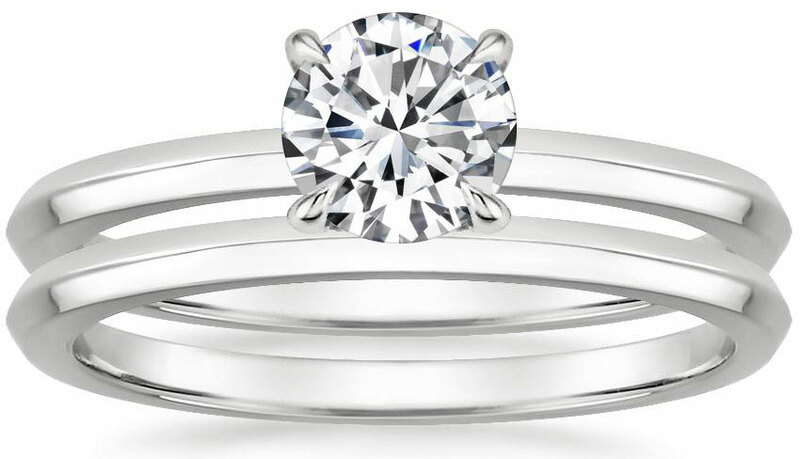 Bands with a knife edge that are channel or pavè set with gemstones are resizable as long as the gemstones are not set around the entire band (i.e. 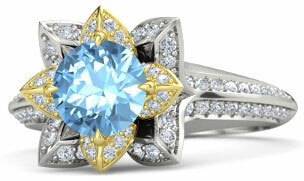 the gemstones are only set around the front of the band). 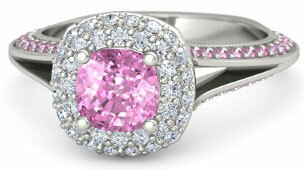 Knife edge rings that contain gemstones set around the whole circle of the band are not resizable. Do Knife Edge Wedding Rings Need Special Care? Knife edge wedding rings made with strong metals do not require any more care than traditional styled wedding rings. 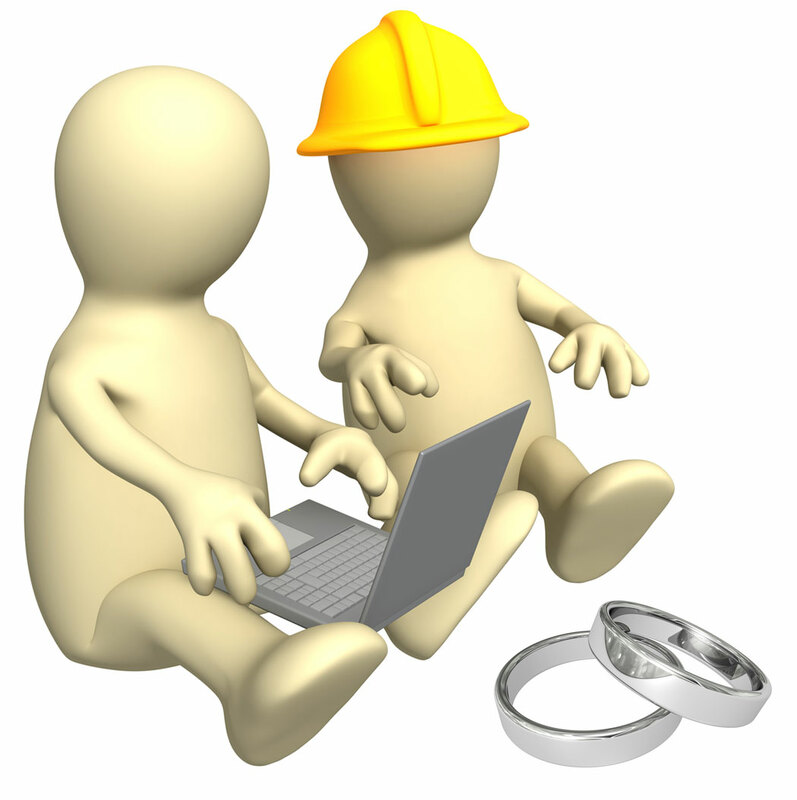 As with regular bands, care should be taken to avoid exposing the rings to hard knocks or blows to prevent scratches. Knife edge rings should be cleaned occasionally as well to maintain their original luster and shine - and small surface scratches may be removed with a professional buff. Tapered edges on wedding bands require extra secure quality settings for gemstones and diamonds - so one way to make sure you ring is made with high standards of workmanship is to stick with reputable and well known jewelers, boutiques and retailers who specialize in knife edge ring styles and rings crafted with platinum settings. 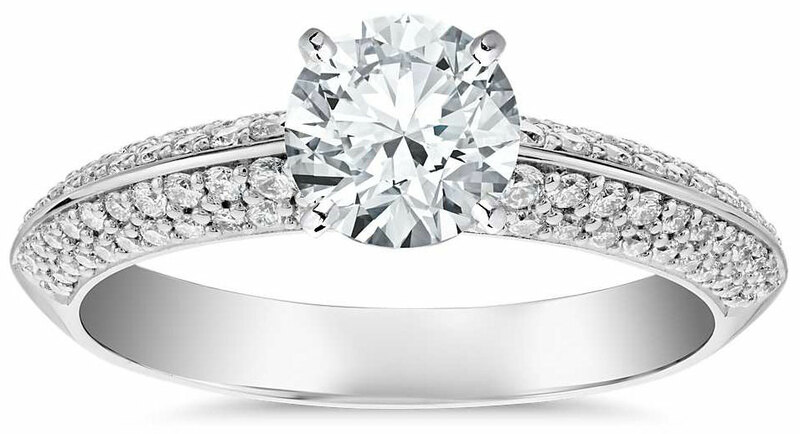 Because some styles may not be resizable, it is a good idea to ask first before you buy to make sure your ring can be resized in the future if necessary. 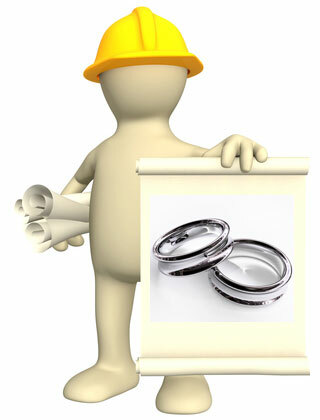 (Keep in mind that tungsten, titanium and stainless steel rings are usually not resizable, but often come with a lifetime exchange warranty). 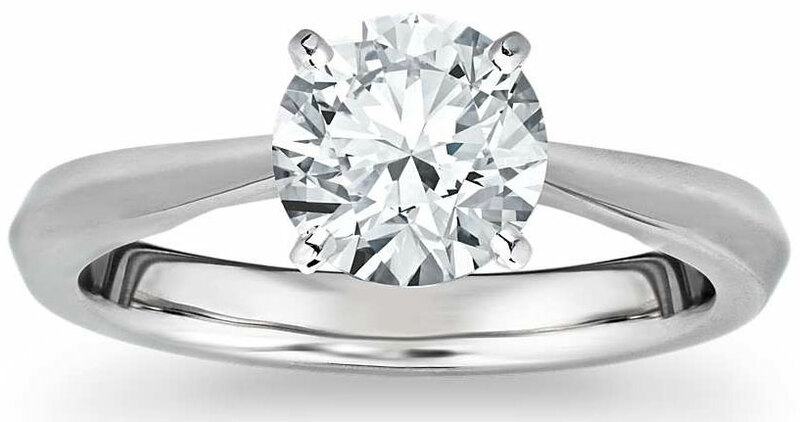 As with all diamond engagement rings, it is best to stick with rings crafted with diamonds certified by one of the top diamond certification laboratories in the world: the GIA, AGS, EGL or IGI. 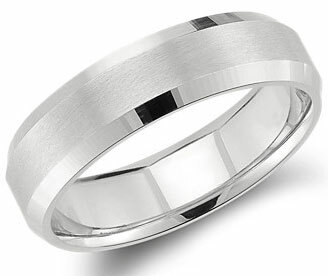 If you are looking for a two-tone knife edge wedding band, make sure the band is created with metal inlay features only - stay away from any rings made with plate (except for rhodium plate used on white gold). 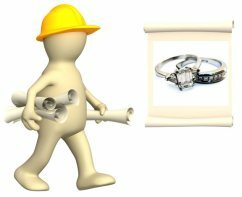 Keep in mind that white gold wedding bands and engagement rings usually need to have a new a rhodium plate application about every 1 to 2 years - if you would like to forgo the extra expense and bother of rhodium plating the ring, palladium, platinum and silver are excellent alternatives to white gold. 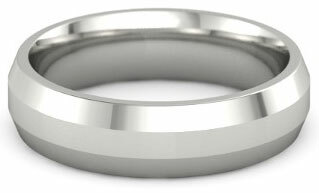 Do you have questions or comments about knife edge wedding bands? Send in your questions and comments, or share pics of your unique knife edge wedding rings here!